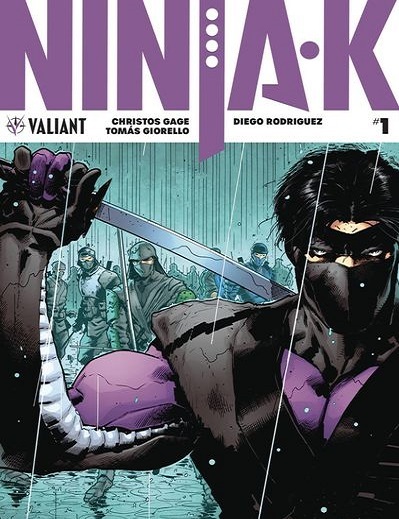 A new Ninja-K series is waiting in the wings from Valiant Comics. Christos Gage and Tomas Giorello are introducing a new fiendish enemy that the Ninja programme will be up against. The UK’s Ninja Programme for many years has been one of the most elite branches of the intelligence service in the world, handling the most daring operations in international espionage. This small shadow army of agents and assassins has produced a succession of notable assets, that has saved the world from countless scheming villains many times. Now, an unknown enemy is hunting and killing members of The Ninja Programme one by one – and Ninja-K is next on the list. Christos Gage (Netflix’s Daredevil) and superstar artist Tomas Giorello (X-O Manowar) have consistently produced some great work. This is gearing up to be a highly entertaining series. Ninja-K #1 is scheduled for release on November 15th.